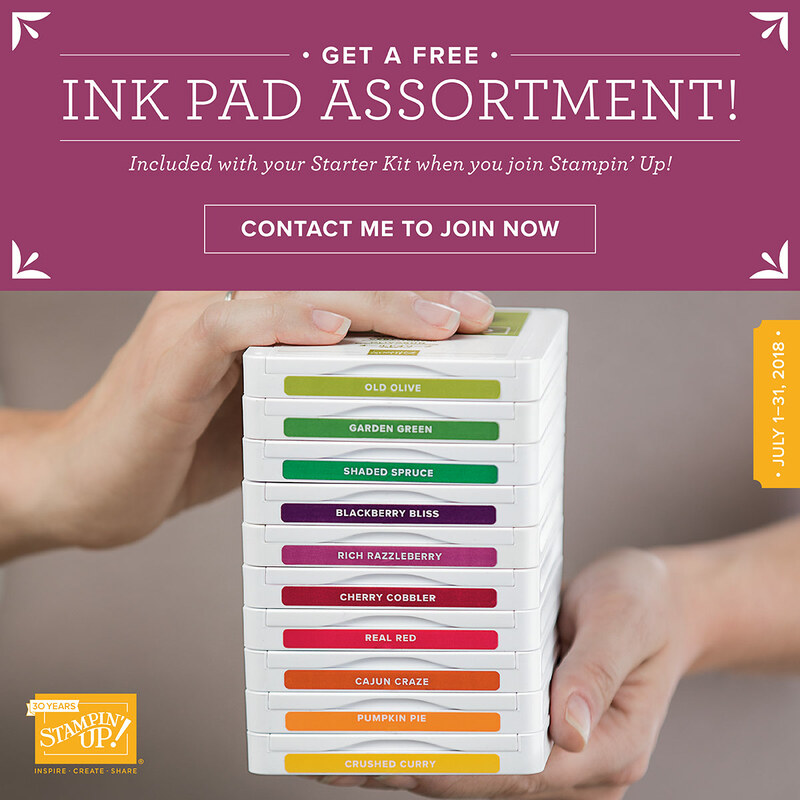 Stamp Ink Paper: Polka Dots! Good morning! How’s it going? Things are good here. Trying to get through the rest of summer with as little contact with the sun as possible (on account of the 100+ temperatures two weeks in a row – CRY EMOJI). In non-weather small talk, my toddler said she was going to “brush her hair” yesterday morning while I was reading to my son, and when I got suspicious of her silence four minutes later and went into the bathroom to check on her, the entire bathroom was covered in baby powder (seriously, where did she find baby powder?!). She looked at me (all covered in powder as she was) and said, “I’m not done brushing my hair.” There was no hair brush. She’s a mess. Annnnnyway, you’re here to see cards. 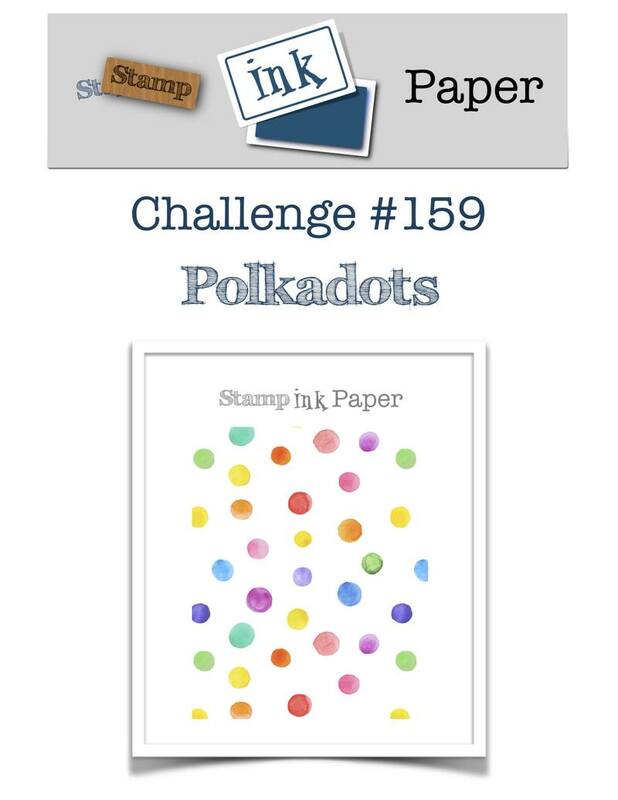 This week’s challenge over at Stamp, Ink, Paper is a Polka Dots challenge. So much fun! 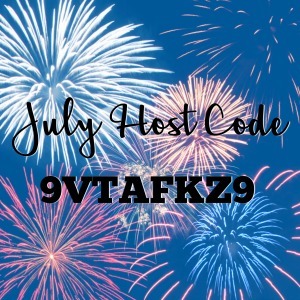 We’d love to see your polka dotty cards, too, so head over and check out the design team’s creations and join in the challenge! 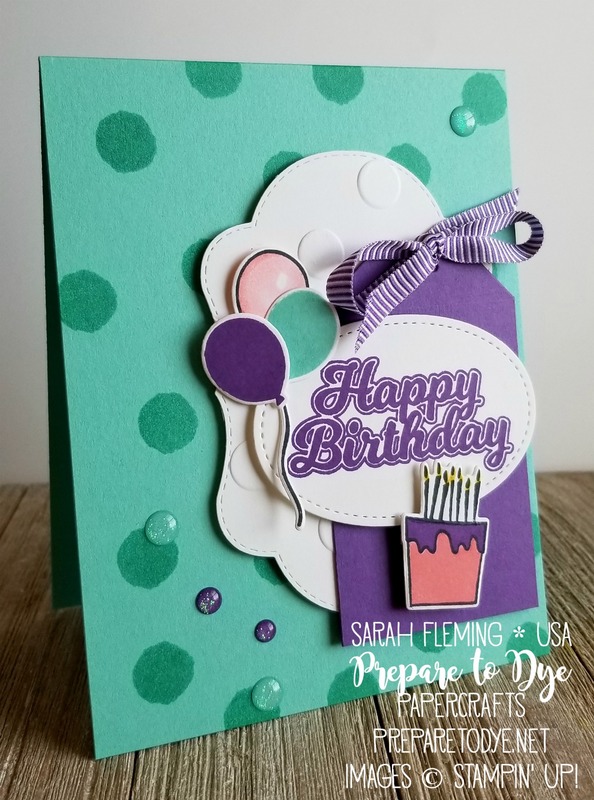 For my card, I started with a Coastal Cabana card base and made it all polka dotty using a flower center stamp from the Daisy Delight stamp set. The Whisper White label is cut with the Stitched Seasons framelits, which are available now to demonstrators and will be available to customers in August (while supplies last). I embossed that with the Polka Dot Basics embossing folder. 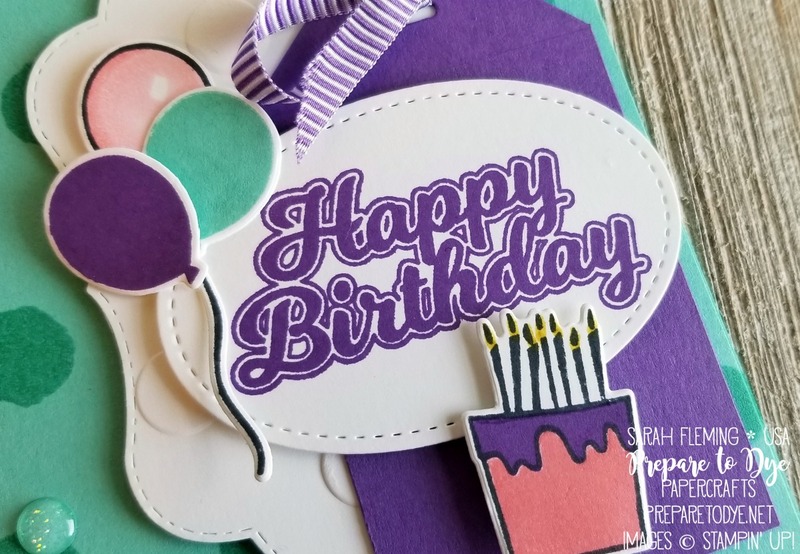 For the Gorgeous Grape tag, I cut a strip of paper two inches wide, then used the tag topper die in the Blow Out the Candles bundle to cut the tag top. The sentiment, balloons, and cake are stamped with the Blow Out the Candles bundle. This is quickly becoming one of my favorite bundles. The pink balloon in the back is colored with Flirty Flaminto Stampin’ Blends, and the other two balloons are stamped. 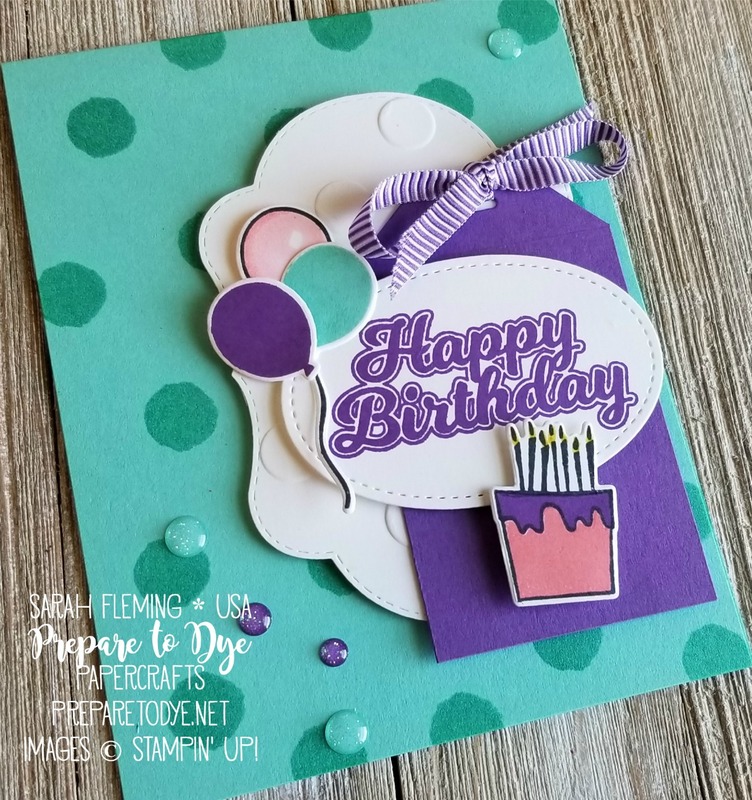 The cake is triple-stamped in Memento Tuxedo Black, Flirty Flamingo, and Gorgeous Grape. I colored the flames in with a Crushed Curry marker. I finished off the card with the adorable Gorgeous Grape 1/4″ Mini Striped Ribbon and some Glitter Enamel Dots.